When: 6 Wednesdays, 6:30-9pm, 2015 dates TBA. Private conferences will be held in November. This is an intensive workshop for writers working on YA novels of any style or genre. During weekly critique sessions, we will focus on constructive feedback with the goal of helping the writer execute his or her intended vision. Participants will critique one another’s work in group discussions, and each writer will have a private conference, with feedback from the instructor on additional pages from their novels. Writers are expected to have a basic knowledge and appreciation of current YA novels, and are welcome to come to this class at any stage in the writing of their own novel: just beginning a first draft, with a novel-in-progress, or with a completed draft in need of focused revision. This workshop is designed for experienced writers. Previous publication is not necessary, but writers should be serious about working on a YA novel, open to critiques and advice, and ready to help their peers succeed. Applicants must apply first before registering. Admissions are rolling. Applicants should send a fiction writing sample of no more than 10 pages and include a cover letter noting what writing experience they have and any classes they have taken previously to Courses@Ideasmyth.com. The writing sample does not need to be what will be brought to workshop. Once accepted to the workshop, registration and payment information will be sent. NOTE: Pay only after you receive instructor acceptance. Nova Ren Suma is a generous and honest teacher that graciously encourages every writer she works with to become the best version of him or herself. Her keen eye, industry knowledge, and overall love for the YA genre combine to make her a valuable resource for both aspiring and experienced writers. Nova’s genuine interest in my work and her concern for meeting my personal needs within her feedback made working with her feel like chatting with a compassionate friend. Hers is a method that conveys knowledge of craft as well as tools for personal growth as an individual writer. Nova is an excellent reader and facilitator. She is thoughtful, smart, flexible, and kind. And yes, she will tell you when and if something is not working. She meets you on the page—and can go where your story is going—not everyone can do that. Nova is a wonderful mentor who is fully invested in the growth and success of the writers in her workshops. I have developed a stronger confidence in my writing thanks to her guidance and support. Instructor: Nova Ren Suma is the author of the young adult novels Imaginary Girls (Dutton, 2011) and 17 & Gone (Dutton, 2013) as well as the middle-grade novel Dani Noir (Simon & Schuster, 2009), which was reissued for the YA shelves as Fade Out. Her next YA novel, The Walls Around Us, is forthcoming from Algonquin Young Readers in Spring 2015, with a second YA novel to follow, slated for 2016. Nova has an MFA in fiction from Columbia University and has been awarded fiction fellowships from the New York Foundation for the Arts, the Djerassi Resident Artists Program, the MacDowell Colony, the Millay Colony, Yaddo, and an NEA fellowship to attend the Hambidge Center. 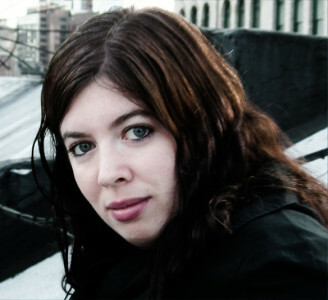 She has worked for publishers including HarperCollins, Penguin and Marvel Comics, and has taught YA novel writing workshops and master classes with Mediabistro, the Djerassi Resident Artists Program and at SCBWI conferences, and is a YA mentor with the Virginia G. Piper Center at Arizona State University for their “Your Novel Year” program. She has been a member of the Writers Room since 1999. Visit Nova online at www.novaren.com or follow her on Twitter at @novaren. Dates & Time: 6 Wednesdays, 6:30-9pm, 2015 dates TBA. Private conferences will be held in November. Course limited to 9 students.